The commencement of the digital age along with the rapid development of information technologies in the 21st century has led it to be defined as the age of information, where the boundaries between place and time no longer exist. It has become increasingly difficult to define what McLuhan has coined as the “global village”, a village based on communication where cultural structures are founded on technology, and constructed through differing codes. In other words, despite the fact that images, which are the most important carriers of technological culture, can transcend all kinds of barriers, individuals living in different cultures and societies perceive and understand these images in completely distinctive ways. Furthermore, it is important to ask the question of whether the process of communication brings along with it “technology”. The term communication no doubt includes fashion, painting, textile, sculpture, all kinds of architecture, industrial and graphic design, advertising, popular culture, photograph, and mass media tools such as film, and television, as well as other products such as computer games, webpages, and newspaper and magazine design. So how are the messages created in these areas perceived? In terms of communication, what are the good and bad aspects of “technology”? How is society influenced by the “change”, “transformation” and “conversion” occurring in communication? Do McLuhan’s “technological determinism”, the “hyperreality” and the notion that all images morph into the imaginary of Jean Baudrillard’s “Simulacra and Simulation”, M. Castells concept of “network society” and the now very popular term of “social media” have anything in common? If we look at it more generally, what are the new approaches that have emerged in the components of communication – due to the process of technology? 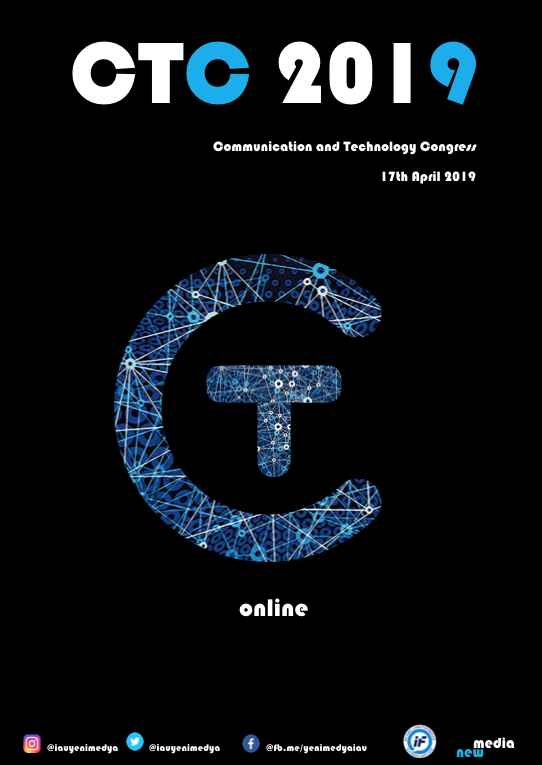 CTC 2019 (Communication and Technology Congress) will take place April 17th 2019. The Congress will bring together academics and professionals coming from different fields to discuss their differing point of views on these questions related to “Communication” while referring to “technology”. “Online” is our theme in this Congress. Prof.Dr. Donald L. Shaw, University of North Carolina, U.S.A.
Prof.Dr. Douglas Kellner, UCLA University, U.S.A.
Prof.Dr. Judith K. Litterst, St. Cloud State University, U.S.A.
Prof.Dr. Lev Manovich, University of California, U.S.A.
Prof.Dr. Maxwell E. McCombs, University of Texas, U.S.A.
“Yeni medya” aileyi nasıl etkiledi?